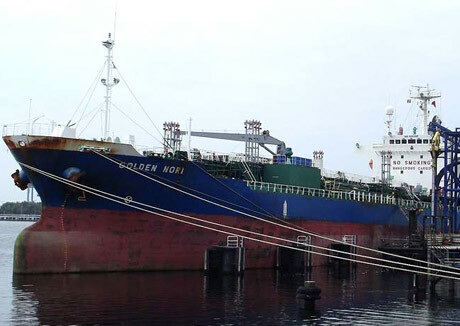 The owner of a chemical tanker seized by pirates off East Africa with 23 crew members onboard is remaining mum on details surrounding the incident. 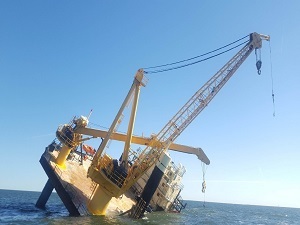 The 11,676-dwt Golden Nori (built 1997) was captured off the Yemeni island of Socotra early on Sunday morning and is believed to have been taken to a location at the tip of the Horn of Africa. 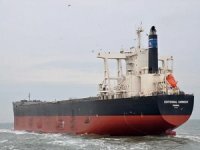 In an initial call to the Tokyo office of operator Dorval Kaiun on Monday, TradeWinds was told that there was no information to suggest that any of its vessels were operating off East Africa. When TradeWinds called later to enquire about the Golden Nori it was told that nobody was immediately available for comment. 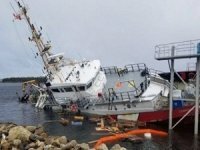 It is believed the owner is remaining quiet on the details of the incident as no word has yet been heard from the crew or pirates and no demands have been made. The Panama-flagged ship is believed to have been seized eight miles off the coast of Socotra. Currently waters 100 nautical miles off the Socotra archipelago are excluded from regular insurance cover with owners obliged to buy additional war-risk cover. The Golden Nori has insurance cover with the Japan Ship Owners" P&I Association. A source at the Kuala Lumpur-based Piracy Reporting Centre would not confirm the identity of the vessel and said it could not reveal the itinerary of the ship, though it is loaded with a chemical cargo. 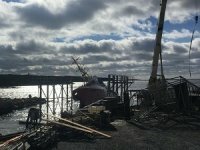 A distress signal was emitted by the ship at 02:16 GMT which was picked up in Stavanger, Norway and relayed to Kuala Lumpur. The centre tried but failed to establish contact with the ship and issued an advisory to warships operating in the area, including to Yemeni military forces. 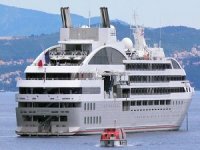 Dorval and the Japanese embassy in Kuala Lumpur were informed. However, late in the evening the centre received word the ship had been taken into Somali territorial waters meaning no warship could intervene. Both the ship"s master and first officer are South Korean nationals with the remaining 21 crew Burmese. 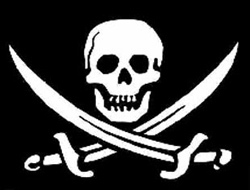 A source in Kenya said the ship"s owner have been in contact to try to ascertain which of Somalia"s five largest groups of pirates was behind the attack with the vessel believed to be taken to the fishing village of Bereda. 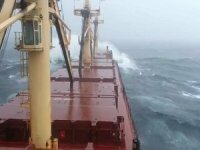 The latest incident follows the hijacking of a Dubai-operated general cargo vessel off the Somali coast 13 days ago. No word has apparently yet been heard from the captors of the 2,664-gt Almarjan (built 1967) which had an undetermined number of crew onboard.